REAL DEAL Memorabilia sells authentic hand signed sports memorabilia AND unsigned collectibles. 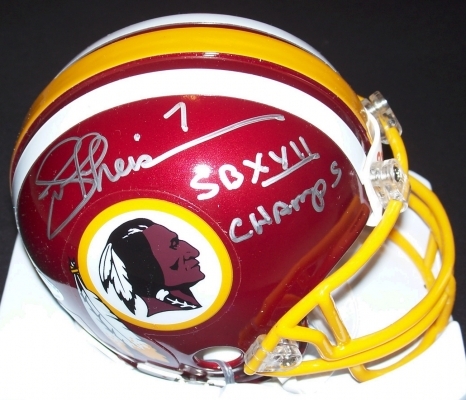 Joe Theismann has personally hand signed this Redskins Riddell Mini Helmet, and Joe was nice enough to add his "SB XVII Champs" inscription. This autographed item is accompanied by a Photo of the athlete signing this type of item, an ENV Collectables Certificate of Authenticity (COA), and a matching Authenticity Sticker on the signed item.